What would you guys grade this Walker? Quote Reply Topic: What would you guys grade this Walker? I bought this Walker on ebay yesterday. The buyer says it **** grade. Im wondering what you guys would grade it. Well the seller says it is XF-40 but what do sellers know lol. I was also thinking AU-50. I dont know whats going on with the top of the coin though. I would also go XF40 or 45, there is a bit of wear on it especially if the marks at the top is damage. It is possible that that is not damage and it is actually a CUD and a die crack which would give this some character. Cuds on walkers usually bring a small premium!! I am a lincoln cent addict!! I got the coin today and on the reverse there is a crack right through the F in Half.Can this be a die crack? Definately NOT a die crack. You have 2 possibilities. I can't tell for sure based on the pic. 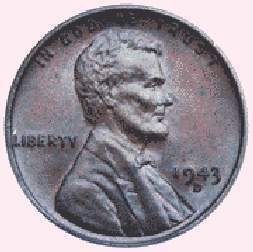 It could be a planchet crack or damage after the mint. How can you tell if it is a planchet crack? If it is cracked planchet and a die cud I would send it in to a TPG, preferably ANACS since it isn't a rare date and it might get a NET grade! !